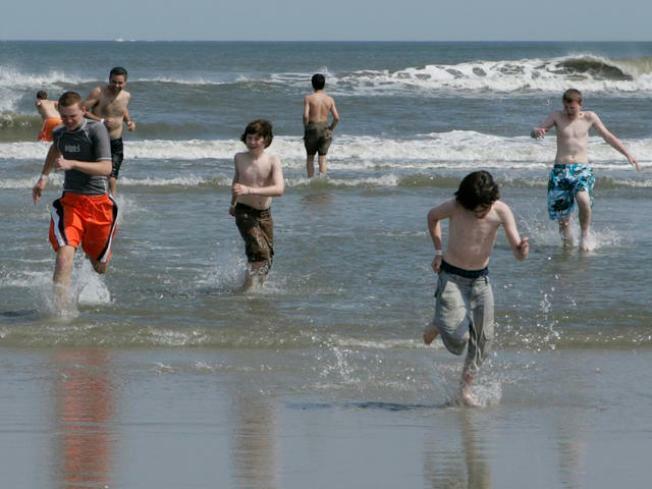 Youngsters run through the chilly water of the Atlantic Ocean in Wildwood, N.J., last year. Last year, more than 16,000 beachgoers voted in a contest that named Wildwood as New Jersey's best beach. This year's contest resumes on Wednesday, when votes will start being accepted at the Web site www.njtoptenbeaches.org. The contest is run by the New Jersey Marine Sciences Consortium and Richard Stockton College's Coastal Research Center. This year's survey also will be available through the social networking site Facebook. Voting will continue through May 1, and the winner will be announced May 21.